Praxair Chief Executive Officer Steve Angel (R) poses with Linde Chief Executive Officer Aldo Belloni before a news conference in Munich, Germany June 2, 2017. German industrial gas group Linde said on Aug.22 that the divestments needed to secure antitrust approval for its $83 billion merger with Praxair have reached a level that would allow either party to abandon the deal. 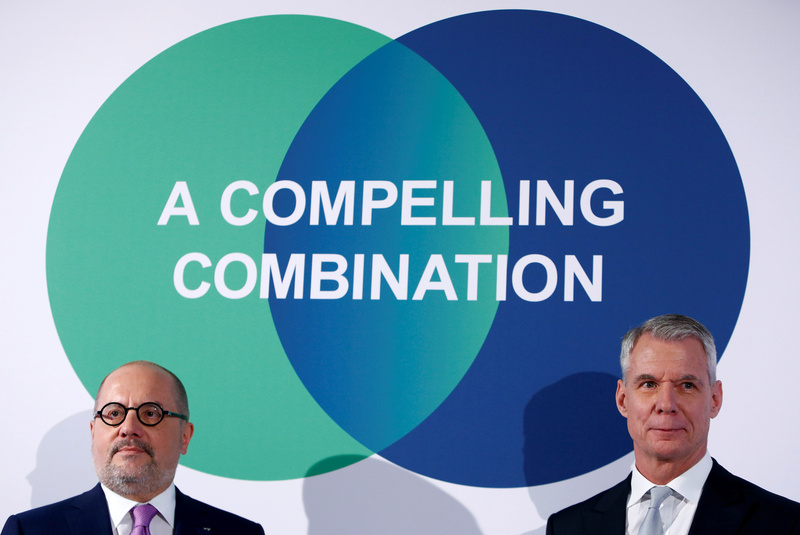 The companies earlier agreed that they can withdraw from the merger without penalty if disposals of businesses with more than 3.7 billion euros ($4.3 billion) in sales, or 1.1 billion euros in EBITDA were required. The U.S. Federal Trade Commission (FTC) recently asked for more assets to be sold than previously anticipated. Linde’s shares were down 1.2 percent to 174.3 euros by 0810 GMT on Aug. 22. Praxair’s New York-listed shares closed at $158.3 on Aug. 21.